Company "Magic Fire" Ltd. started its business with the sale of pyrotechnics and fireworks in 2000. In 2002 the business expanded by opening a new store for fireworks and party items and ballon decorations. 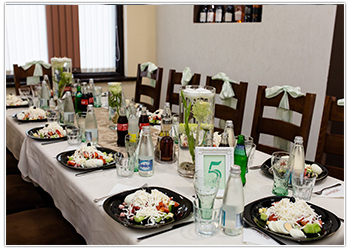 As a natural extension, on 1st of February 2007 we opened - Wedding and party agency "PRECIZ". The agency offers perfect organization, precise performance, correctness towards partners and customers. Make your holiday an unforgettable experience with the help of our proven and professional team". We offer unique solutions and many services with which to express your individuality and style. In the wide range of services are also included advanced solutions for the complete decoration of stores, gyms, hotels, restaurants etc.. 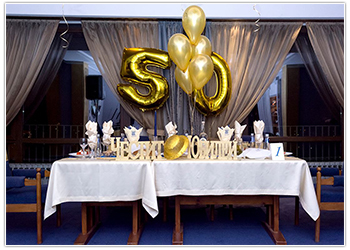 Wedding and party agency "Preciz" works throughout the whole country, so wherever you are, you can believe us and trust us, so that we can walk together along the path from its start, to the magic of YOUR Fairy Tale! Every wedding is truly unique, and your every desire is feasible. Whether you are planning a small or a large wedding, we will help you. Just give us a call and will gladly meet you at convenient to you day and hour, to have a friendly talk. 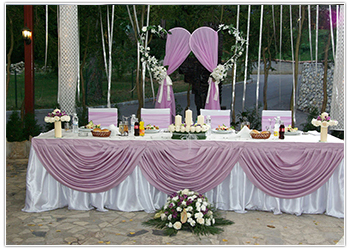 On our first meeting we will talk entirely about your desires and dreams, about what you like to have on your wedding. We shall discuss the implementation of their realisation, the indicative budget that you have foreseen. 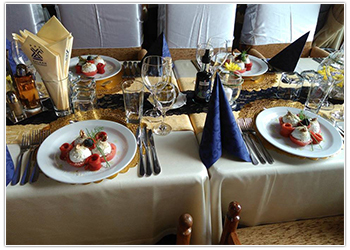 Depending on how much you would like to take part in the preparation and organization of the wedding celebration, you can choose from the various options available to you. We are pleased to meet you. Tell us about your needs, what kind of wedding do you imagine and how much money would you spend on shaping your ideas and dreams. 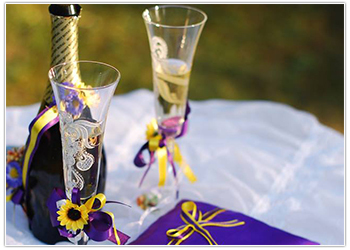 all wedding accessories / glasses, candles, gifts, fortune cookiesand others. 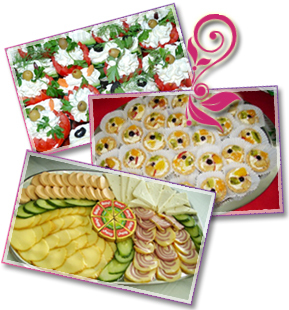 You plan a presentation, opening, you want to celebrate your success with friends - You need catering services that will make your event unique! furniture: tables, chairs, tents and others. Fireworks - sound and light for an unforgettable moment from Your celebration! 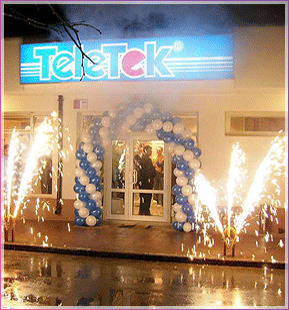 The company has shop and a warehouse for pyrotechnics from 1st to 4 grade, the necessary permits and licenses for the marketing and use of pyrotechnical devices for the performing of salutes, public events and pyro shows. Our team of experts will design for you according to Your wishes and budget, individual script and visualization of fireworks for your celebration, complied with all the safety precautions and safe functioning. many other surprises depending on your wishes. everything you need for a crazy kids party with lots of music, games and amusements. At your disposal are Magic Clown Bobo and Santa Claus, who will visit personally your child and will bring many gifts, a lot of excitement and joy! entertainers, dancers, fire show, bands, orchestras and live performers, a magician show, karaoke and much more. Regardless of the reasons to celebrate, you can contact our modest team / but not with modest experience / that combines quality and tradition and saves You time and frustration. romantic gifts, experiences and others. Eventually you get a stunning party - colorful, covered by light and music! Call us! We expect you, filled with fresh, unique and wacky ideas. 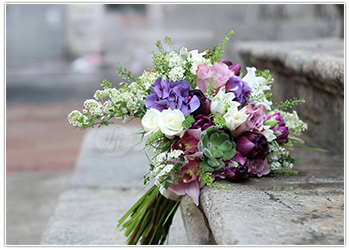 Dear customers and visitors of BUSINESS.bg, please send mesages in the form of e-mails to company Wedding and party agency PRECIZ only in connection with the services or products offered by Wedding and party agency PRECIZ. If you send advertising or other communications provided by you or any third party goods or services to Wedding and party agency PRECIZ will be considered unsolicited commercial messages. Sending such messages is prohibited by law and constitutes a violation of Bulgarian law and the Terms of BUSINESS.bg.